When I was eight years old all my neighborhood friends were getting BB guns. I wanted one too…. REAL bad! Christmas was coming soon so I asked my dad if I could get a BB gun for Christmas. He thought long and hard and finally said “No” BB guns get used as toys, kids shoot porch lights, neighbors’ cats and all too often, each other, he explained. I’ve heard enough stories from friends to know he was right. His solution was to promise me that on my net birthday, still a number of months away, he would get me a .22. There would be no mistake, this was not a toy. It was a real gun, to be handled and shot only under his supervision. Christmas came and went. Even more of my friends got BB guns. My friends were jealous of my promise of a real gun in my future and I was jealous of their BB guns in their possession. It was a long time to my birthday in the middle of summer. Dad was observant. He saw how now, since Christmas every boy on our block had a BB gun. In two or three months he asked if I’d like a late Christmas present. That evening we went to Andy Anderson’s Sporting Goods on 39th Street (for all my Oklahoma City friends). For months I had been drooling over pictures of the Browning semi-auto .22 and thought I had my mind made up. The salesman showed us one of those. Then he said, “Let me show you something new that we just started carrying,” and he brought out a Ruger 10/22 carbine. I was only eight years old and never have been big. The 10/22 was a perfect fit. I fell in love with it and we took it home. I still have that gun and I still love it. In spite of a few thousand rounds, hours in the brush plinking and hunting rabbits and even my son dropping it (sorry… had to tell.. .no blood no foul) it still looks and shoots like it’s brand new. Recently I did a little research on the Ruger 10/22 in general and mine specifically, calling Ruger with the serial number to find out when it was made. The club owned a number of single shot bolt action .22’s with target sights They did the job. But some of the slightly older kids had some really nice target rifles. One evening one of the members who worked at a local gun shop called and said he knew of a nice rifle for sale if I was interested. The following weekend we took it to an outdoor range and on a windy Oklahoma day but a box of shells through a whole you could cover with a dime (ok, yes, used a bench vice). 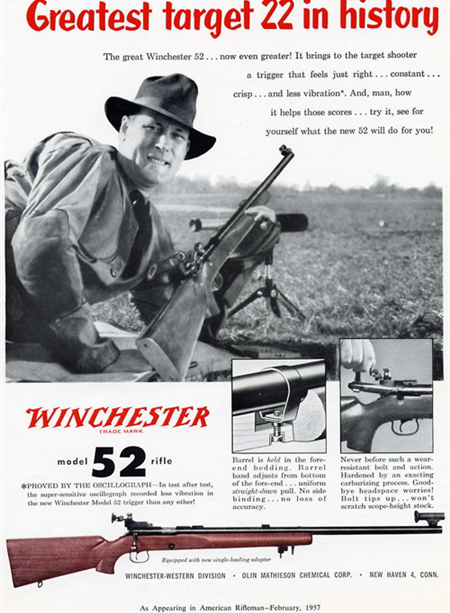 That night Dad wrote the owner a check for $125 for a gently used Winchester 52 D Target model with bull barrel and accessory rail. I found the canceled check just the other day. Over the next several years I shot a few thousand rounds through it, earned various NRA marksmanship awards and attended a few matches. How did I do? “Old men forget and all shall be forgotten but he will remember with advantages the feats he had on that day… ” That’s Shakespeare. It wasn’t long before chemicals took control of my life: gasoline and perfume. My Friday nights at the range dwindled and then stopped; high school, college, graduate school, marriage, children (twins) all made shooting times few and far between. I picked up a couple of poor quality handguns; a .44 mag a friend gave me because he didn’t like the recoil and a cheap .380 auto that I bought to help out a friend who needed some quick cash. 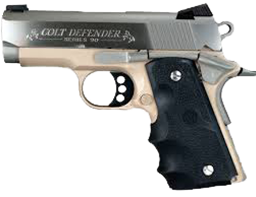 It is this little poor excuse for a firearm that is responsible for rekindling my interest in guns and shooting in a big way. My sons, now adult-ish, were going to go plinking with some friends and wanted to take it along. I didn’t mind so they borrowed that and a couple other guns and headed off for an afternoon of killing fruit (some see the produce aisle as good nutrition, we see it as a source of exploding targets). When they returned from their outing the first words were, “Dad, we broke your .380.” I was skeptical that even they could break a gun just by shooting it. But on examination, the slide was cracked almost all the way around about an inch from the muzzle. Later, talking to a guy at a local gun shop about what happened, he offered this pearl of wisdom, “Pot metal breaks when it gets hot, don’t it?” I said it was a cheap gun. I wanted to replace it with something for home defense. My sons are big boys and have always like big toys and military history. They had long been interested in 1911’s but my usual response was “I really don’t want or need something that big or powerful. Just wanted to replace my .380. But I had been reading, looking, shopping and re-evaluating. 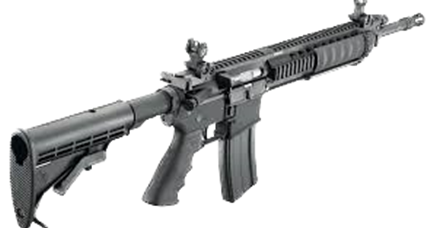 The fourth step I took in the wake of the Sandy Hook Shooting was to purchase and AR15. I had been wanting one but the time never seemed right. There was always something else higher up my list. It never seemed to fit into the budget. But now things seemed drastically different. It seem there was a real possibility that it was now or never. Better buy one before they are banned again. Being a Ruger fan I looked at their AR and liked what I saw. Clicking on “Buy this Gun” took me to a website from which to order. This was the Friday night of the shooting. There were 97 available. I was planning on going to a gun show in the morning, so I waited. Before going to the gun show in the morning I looked again and there were 65. When I got home from the show (only stayed a couple of hours) there were 45, then 44. I purchased number 43. By 5:00 pm they were all gone. Not just the Rugers but every AR, and not just the AR’s but every AK and SKS and similar style rifle had been sold out on one of the largest internet gun sellers. I am sure it was the same everywhere. OH, and by the way, now I have a BB gun too It’s a Daisy Model 25– a Classic in its own right.. I staple some paper targets to a cardboard box in the basement where I have my work area.. From time to time I take BB breaks. From a chair at one of the work tables to the target is about 20-25 ft. The gun is amazingly accurate and its fun to have a little target practice at home. I have a long handled roofers’ magnet that I use every so often to walk around and clean up the BBs that didn’t get caught inside the box. Of course shooting can be rather expensive. So that expanded into another hobby. Reloading: loads of fun! Can cut down on the cost if you shop right and requires more tools and equipment. I like tools and equipment. Now reloading nine calibers. Then came the tragedy of the Sandy Hook school shooting. Everything changed and nothing is really back to normal yet. Certainly no one could not be affected by it. On that day I did four things. First, I cried. I’m a guy, I don’t cry often. But I’m a parent and a caring person. I cried. Then, I renewed my lapsed NRA membership. 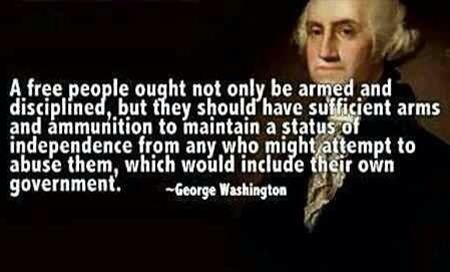 They are the ones, sometimes the only ones standing up against other powers to protect our right to have and bear arms. They are the good guys. Join and support them. The third thing I did was to write to my Representatives and Senator encouraging them not to give into the onslaught of anti-gun legislation that would so obviously be coming. I have done so about once a week or more ever since. They listen. They respond. Above all else, they want re-elected. Write them. Often.